Description:Porcelain dental ingots furnace for press is The intelligent Programat with infrared technology speeds up the firing process up to 25 per cent and enhances the firing results. The size or the number of restorations in the firing chamber is irrelevant. The new thermal imaging camera automatically controls the predrying and closing process. Porcelain furnace PRESS is use for firing ceramic materials of teeth. 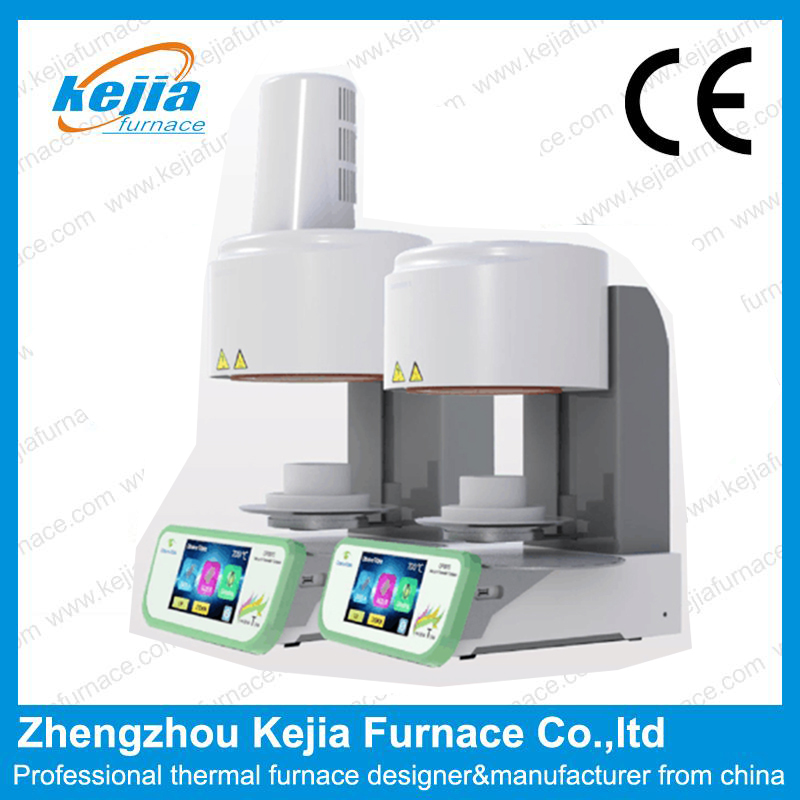 The device must be put at least 25-30cm away from the wall.Be assure that the Porcelain furnace PRESS must be under normal ventilation environment. The sockets must be put near the power source.The instrument board behind must be connected firmly. Do not operate near by inflammable. Please use dry or a little wet cloth clean the surface of the Porcelain furnace PRESS.Do not use solvent or other liquid cleaner to purify the control panel.Please do not let the liquid seep into the Porcelain furnace PRESS. Damages caused by mis-operation can not be included in warranty scope. In order to the best work environment,we suggest you use a exclusive circuit. The socket use an overload resistant protector would be best.The three-phase circuit must have a dedicated line for a reliable grounding wire. Before any maintenance,you must plug off from the electrical socket . In order to avoid any accident of serious scald,please use proper instrument to put in or move the objects . Do not use nippers or other instrument to operate the furnace,these instruments may damage the screen or the membrane. The firing deck is a movable (up or down)part.The to-and-fro motion is controlled by the program. The inner place of the furnace include fireproof cera mic-fiber and porcelain dust,these may be released by the movement of opening.Once these materials are inhaled by human,it may cause cancer.The dust can irritate the skin and eyes,cause the respiratory tract hoarse or fester.Do not use condense air blow the dust into the work environment.